Want to say thank you to someone you love? 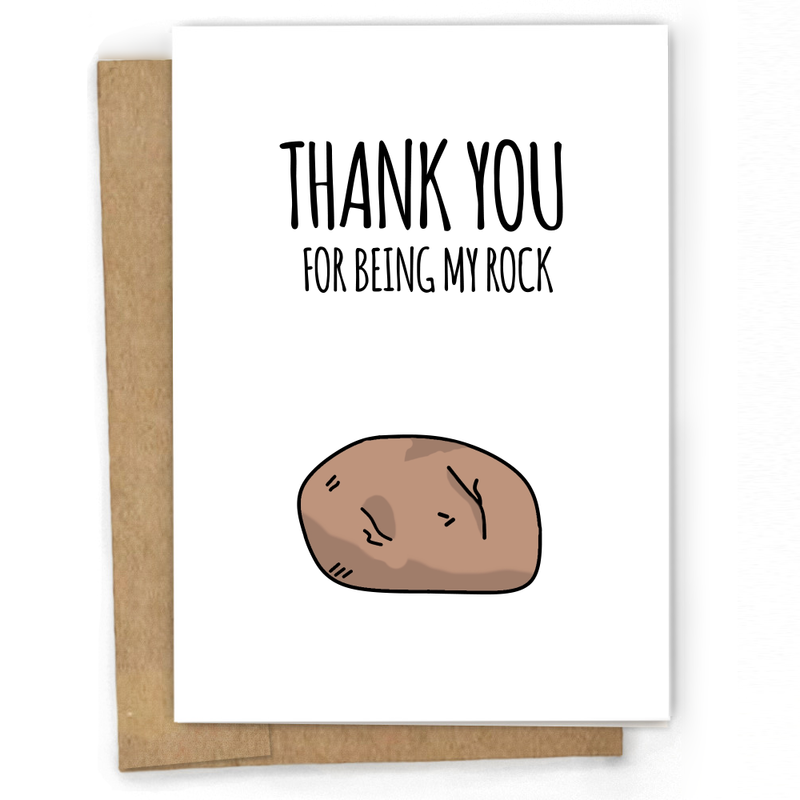 This card is perfect for the rock in your life and will put a massive smile on their face. Perfect to give from an adult or a child. The card is A6 once folded, made using quality white card (260gsm) and fits in a C6 brown ribbed envelope. It also comes sealed in a cellophane wrapper.